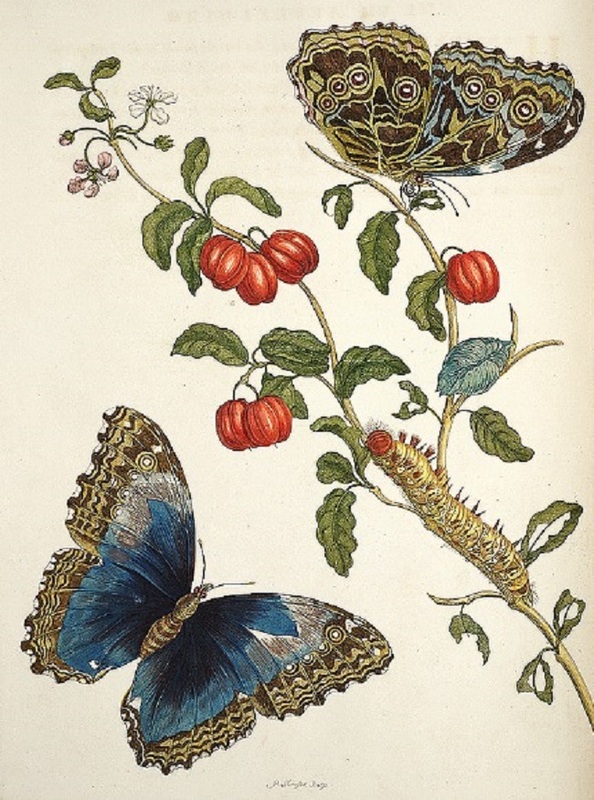 Maria Sibylla Merian (1647–1717), a German-born naturalist and scientific illustrator living in the Netherlands, was an extremely enterprising and independent woman who managed a successful career as an artist, botanist, naturalist and entomologist. 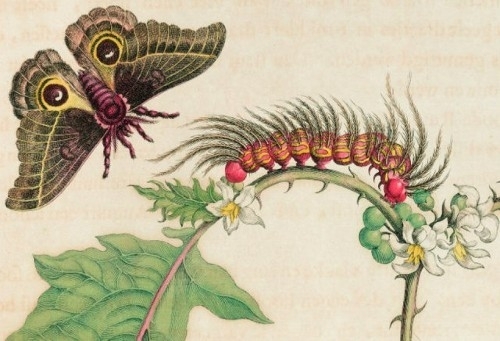 At a time when natural history was a valuable tool for discovery, Merian discovered facts about plants and insects that were not previously known, such as insects did not spontaneously emerge from mud. 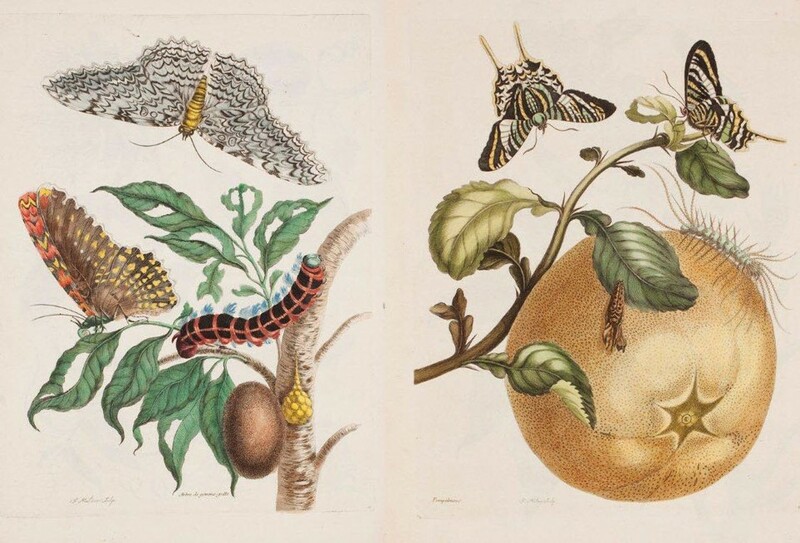 Merian was the first to bring together insects and their habitats, including food they ate, into a single ecological composition. 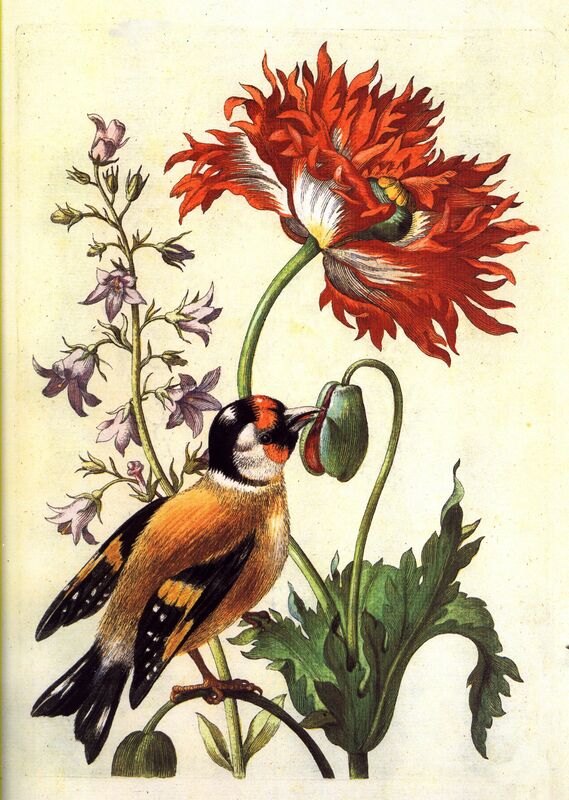 Merian published her first book of natural illustrations, titled Neues Blumenbuch, in 1675. In 1699, following eight years of painting and studying, and on the encouragement of the governor of the Dutch colony of Surinam, the city of Amsterdam awarded Merian a grant to travel to South America with her daughter Dorothea. 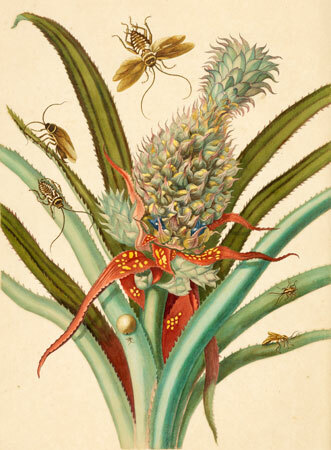 Her trip, designed as a scientific expedition makes Merian perhaps the first person to plan a journey rooted solely in science. She then proceeded to publish her major work, Metamorphosis insectorum Surinamensium (de), in 1705, for which she became famous. 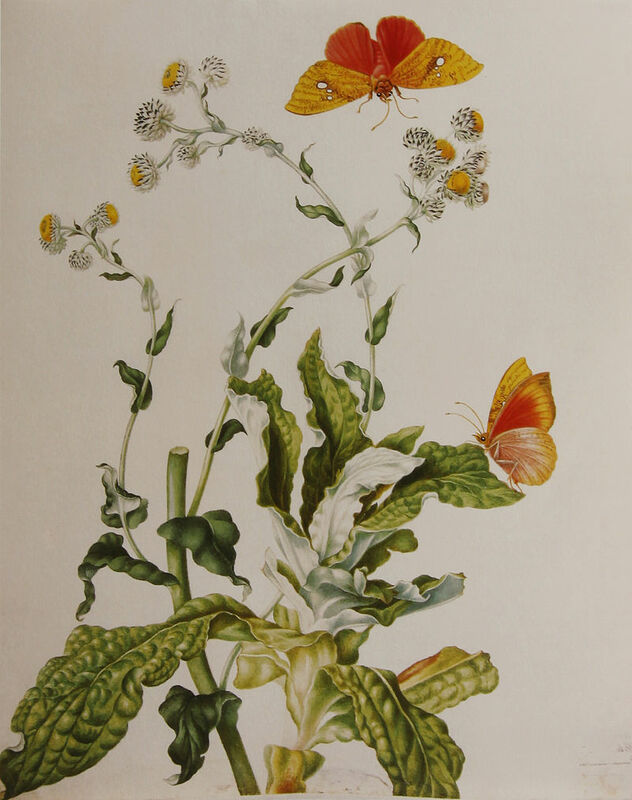 Merian is considered to be among the most significant contributors to the field of entomology — an amazing journey for an 18th Century woman. 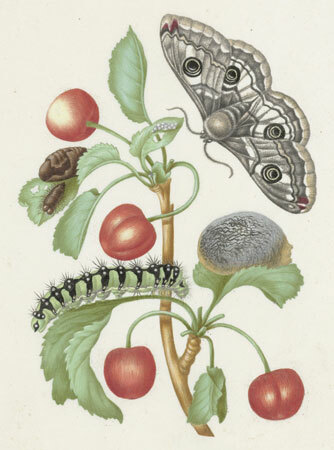 More of Maria Sibylla Merian‘s amazing story and images can be found at https://www.britannica.com/biography/Maria-Sibylla-Merian and https://www.theatlantic.com/science/archive/2016/01/the-woman-who-made-science-beautiful/424620/. The attention to detail in these paintings! Amazing! And a woman as a painter and renowned scientist in the late 1600s, that’s something almost unheard of even in the West! It is a tribute to all women painters that she could paint so realistically and be remembered for it. As you said, most female painters were ignored back then. Thank you for stopping by! they don’t make them like these anymore, do they, in those days time was not important, but they are pretty and very very detailed ! And hello back! 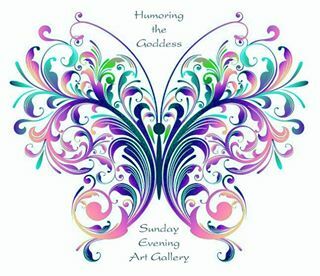 Thank you for checking in to Sunday’s blog! Thank you! I actually came across her name at work for a different project. Her pictures seemed faintly familiar, but I didn’t realize how experienced and talented she really was until I researched her. And this is back in the 1700s…how barbaric were those? I also shared this with my niece(cousin’s daughter), kerricostello.wordpress.com She lives in Philadelphia, and a Graphic Design Artist, and loved your article. Unfortunately Kerri suffers from SMA type 2#, she works from home and internets her work off to New York. “Maybe” you might visit her blog site, Thanks for your time. Ivor. Of course I will visit! I’m always looking for new and wonderful blogs to follow! Thank you for sharing her info. Thank you! I am finding out more and more about obscure artists (obscure to MY generation, that is) who really impacted the future of art in all its many forms. The world of creativity is SOOOO big, isn’t it? And your blog is SOOOOO awesome.